A little bit about whatever I'm interested in at the moment! As always, I’m trying to figure out what the best diet is for me to help me lose weight. I’ve always had a pretty good work out ethic, until recent years, so my new obsession with Orange Theory Fitness is really going well. I have gone 3 – 6 times a week since I started in late October. I have to do better with food though!! I think a low carb diet is probably going to work the best for me. I’ve been interested in the Keto diet, but I haven’t been able to get low enough in carbs each day. I’ve kind of decided that my diet will be lower in carbs with the majority of the carbs happening with my breakfast shake, (which has a banana in it). 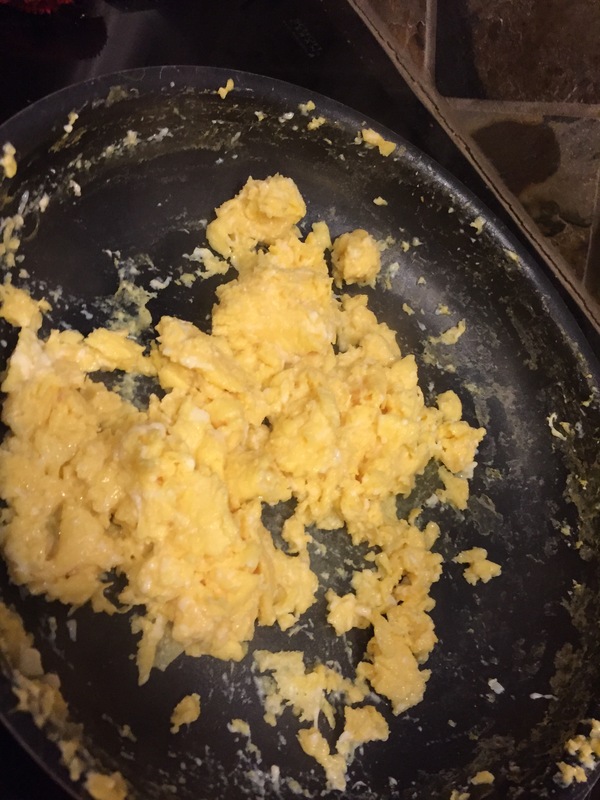 1st step: Scramble an egg then put it to the side. 3rd step: Stir in soy sauce to taste and cook until semi-translucent. 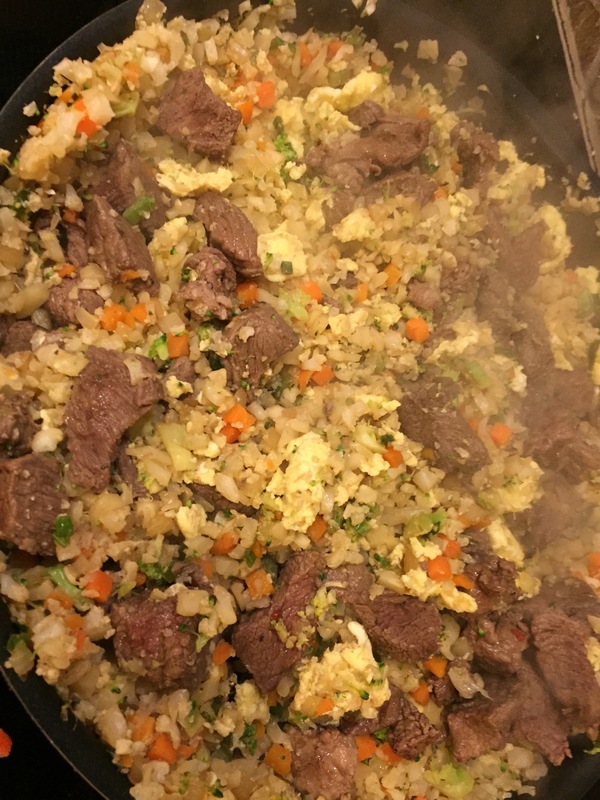 4th step: Stir in the scrambled eggs and the stew or steak meat. Add more soy sauce if you like it. This is seriously the best low carb meal I make. I highly recommend it to everyone doing any kind of diet. You can substitute chicken instead of meat if you like. 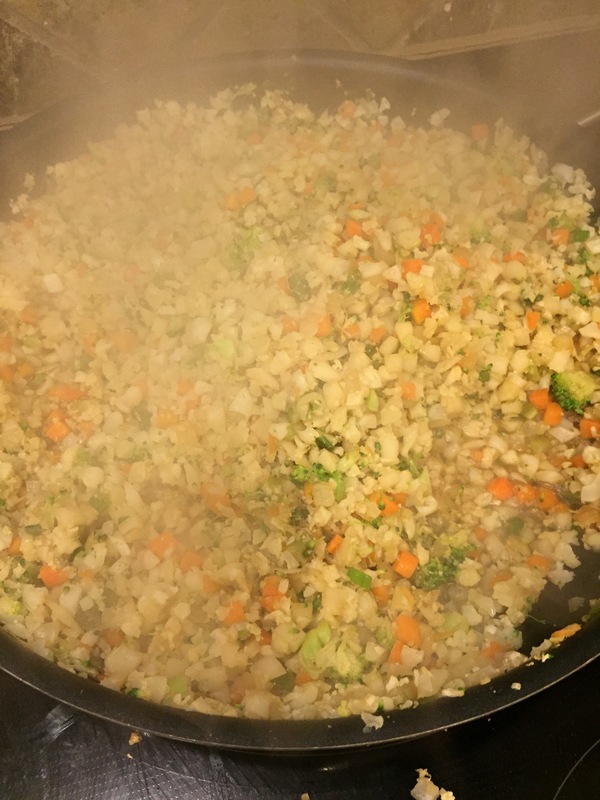 Or you can add no meat at all and use as a side dish. There are a lot of options with this deliciousness!! This makes anywhere from 6 – 8 servings. Life is funny. I live a fun life.